ROSWELL, GA – February 8, 2017 – Franchise Gator, the leading online franchise directory, announced the release of its Food Franchise Buyer’s Guide for 2017 to assist individuals in the buying process when searching for a food franchise. The guide is the first in a series of industry buying guides the website plans to release over the next several months. As the largest sector of the franchise industry, food franchises are projected to make up approximately 37% of total franchise establishments in 2017 according to the International Franchise Association presenting potential buyers with an abundance of options. 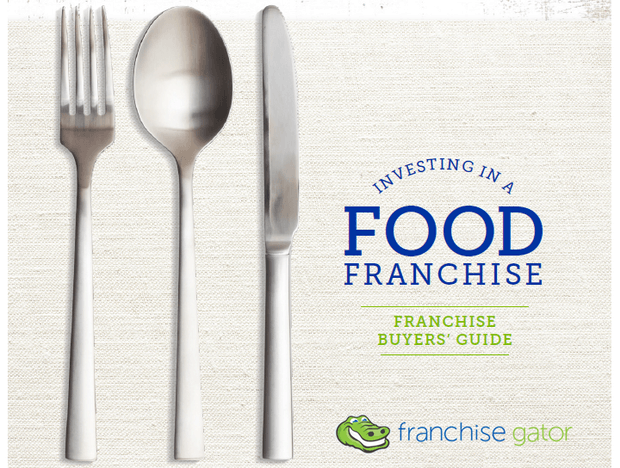 Franchise Gator developed the Food Franchise Buyer’s Guide as part of its commitment to helping potential franchise owners gather the necessary information and take the correct steps in the franchise buying process. The guide helps potential buyers navigate the process by offering an overview of the industry, a look at the types of food franchises, the advantages and challenges of buying a food franchise, and more.